So we all know there’s no end to the variety of ramen restaurants in Singapore. With the proliferation of ramen shops in the past few years, it’s always refreshing to come across a place like Shin-Sapporo Ramen that constantly seeks to add innovative offerings to their menu. Previously introducing Beer Ramen to Singapore, Shin-Sapporo has now launched the equally exciting Sake Ramen ($15.80) as a seasonal dish to complement the winter season in Japan. In contrast to Beer Ramen, the Sake Ramen contains a stronger dose of alcohol which one can immediately taste upon consuming the broth. What we liked was that the taste of Sake was strong and lingering, yet not overpowering at the same time. As such, this dish is perfect for both alcohol lovers and those who wish to try unique ramen concoctions without going too far. The quality of the broth was not compromised as well, proving to be aromatic and flavourful. This comes as no surprise. We hear the broth takes a minimum of 8 hours to produce in order to achieve its rich flavour. Sake broth aside, the quality of the noodles itself is just as important in making or breaking a bowl of ramen. Shin-Sapporo’s Hakata-styled noodles definitely did not disappoint. The noodles were well-cooked and possessed a firm and consistent texture, serving as a good complement to the premium Sake. As for the ingredients, the signature grilled cha-shu was tasty and succulent. That being said, I did wish they would have been a little more generous with the amount of cha-shu given. Thumbs up to the Ajitsuke Tamago(soft-boiled egg) as well. Though I’m not the biggest fan of eggs unless they’re fried or scrambled, the ramen Tamago was really well-marinated-firm on the outside yet runny inside. And what would a hearty meal be without dessert to finish it off. 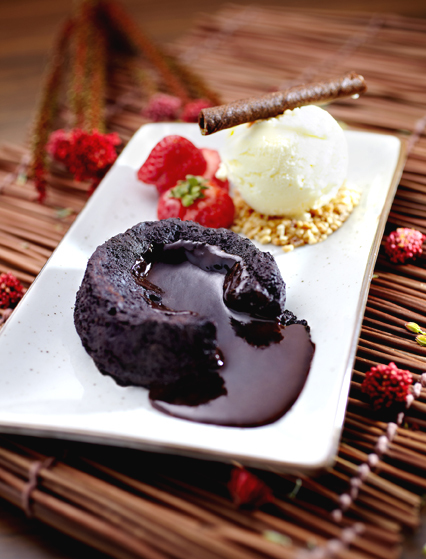 The Chocolate Lava Cake ($8.80) is a sinful and decadent offering erupting with melted chocolate goodness, topped off with good old vanilla ice cream and fresh strawberries. In fact, I would go as far as to say a visit to the restaurant wouldn’t be complete without it. I definitely will be back for seconds. All-in-all, Shin-Sapporo‘s Sake Ramen proves to be more than just a novelty in the ramen restaurant scene. It’s a pity this is only a seasonal offering available until the end of March this year. Nevertheless, we look forward to other interesting ramen combinations Shin-Sapporo has to offer in the future. 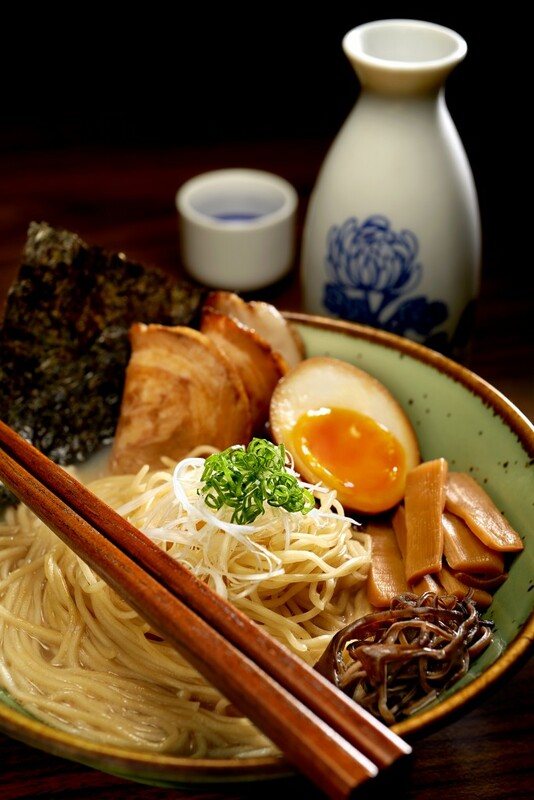 If you’re constantly on the lookout for dishes with a palatable twist, do give Sake Ramen a try! Do check out Shin-Sapporo Ramen’s other outlets on their website and Facebook page.